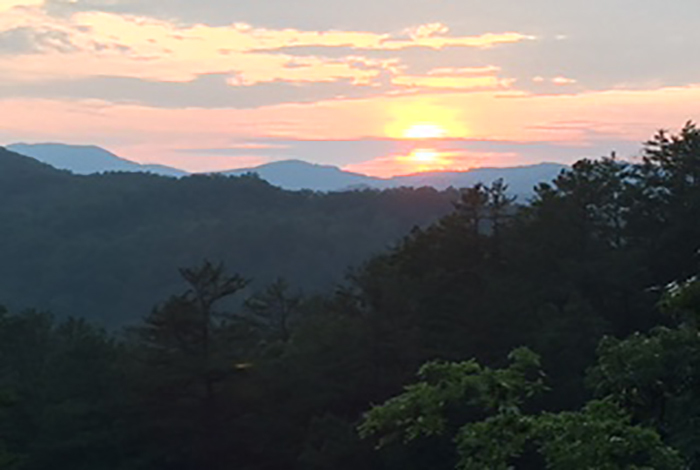 Shagbark resort community in Wears valley is off of Highway 321, located 7 miles from Pigeon Forge. It’s a gated community with spaciously placed cabins that share resort amenities such as a pool and tennis courts, as well as stunning views of the surrounding mountains, and park-like, wooded views for the more secluded cabins. In the area are streams and scenic walks, and the terrain is fairly steep, offering a true mountain feel. Wears Valley is very scenic. It has some of the best mountain views in the area, and bills itself as the quiet side of the Smoky Mountains. Highway 321 is the road from Pigeon Forge to Townsend and the entrance to Cades Cove. 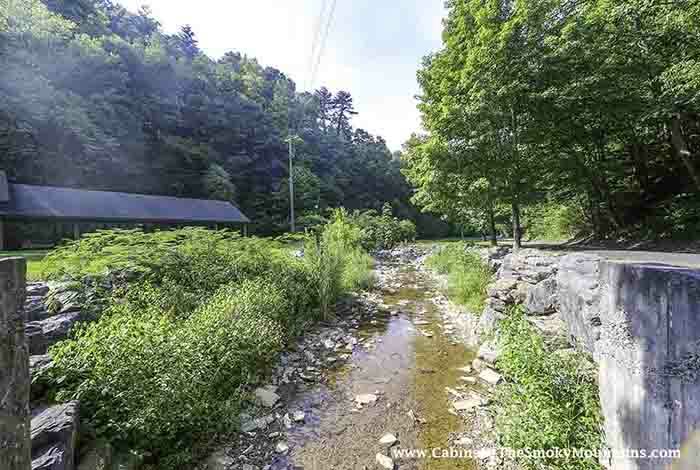 Many people stay on this side of Gatlinburg and Pigeon Forge to avoid traffic and crowds, and for the less traveled entrance to Great Smoky Mountains National Park via Metcalf Bottoms, a beautiful area along the river with tubing, fishing and picnic tables. From Gatlinburg, visitors drive south on Highway 441 and turn west onto Fighting Creek Gap Road, for a scenic drive to Metcalf Bottoms, and from there on to Cades Cove along the winding (and wonderful) Little River Gorge Road. 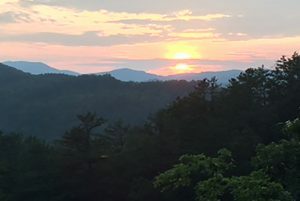 From Pigeon Forge, you can take Highway 321, also known as Wears valley Road, and before reaching Townsend and the main entrance to Cades Cove, you can turn south onto Lyon Springs Road and arrive at Metcalf Bottoms this way. Whichever route you take, you’ll be driving in a forested area filled with streams and waterways, and countless scenic attractions. 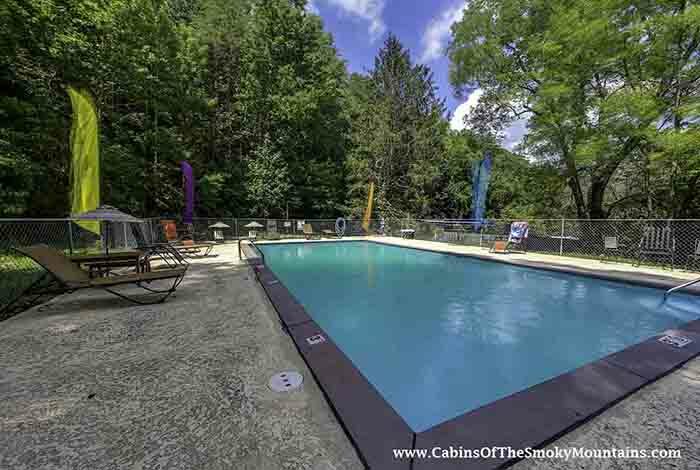 We have many cabins in the Wears Valley area for those visitors who come more for the national park than the bustle of the two – undeniably amazing – towns of Pigeon Forge and Gatlinburg. While you can spend an long time simply with the attractions in either of these two towns, you still want to spend some time in your cabin, simply enjoying living. Some people almost never leave their cabin, finding they have everything they want in it – especially with more in-cabin services becoming available that bring added comfort to you. And in reality, neither town is very far away from Wears Valley. You can travel from your secluded mountain cabin in your own incredible mountain-forest world, and be on Parkway in Pigeon Forge in 15 minutes – and immersed in a whole other world. That’s not bad. Shagbark consists of 1300 acres divided into 800 lots. It’s very close to Walden’s Creek area, which has a great riding stables and vast areas of riding and hiking trails. Shagbark is a gated community, for the security-conscious, and you’ll need access to get in. In winter, some cabins may require a 4-wheel drive vehicle to access, so check with our reservation staff beforehand. Follow this link for more of our Wears Valley cabins. And check out our TIPS section for helpful hints on how to find the best cabin to suit your stay. And Tip #1 is always, when in doubt call us night or day at 855-91-SMOKY. Also, many cabins are pet-friendly so you’ll want to consult our pet friendly cabins Gatlinburg and Pigeon Forge pages to see what’s in your area. 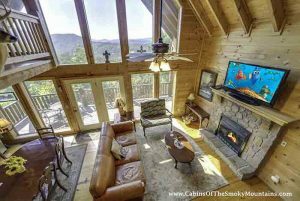 Remember also that as guests of Cabins of the Smoky Mountains you receive FREE TICKETS worth over $400 to some of the best attractions in the area, indoor and outdoor. See our Gatlinburg coupons page for details.